That Starbucks Cup…It’s Actually Just a Cup. The 2015 Design of Starbucks Holiday Cups. 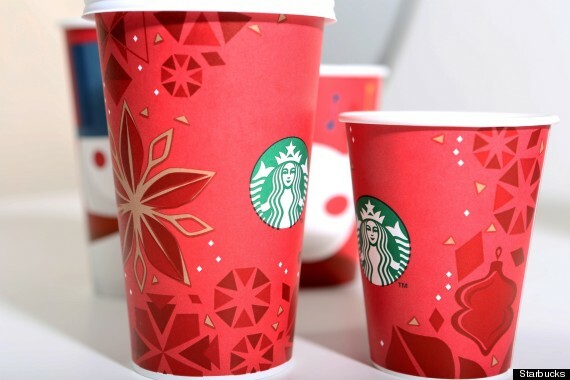 As most of you have seen, Starbucks has decided to go with a simple look for their cups this holiday season — a plain red cup accompanied by the Starbucks logo. Seems harmless right? Well, apparently some people have become outraged by this decision of Starbucks because they feel as if the liberal coffee giant is taking “Christ” out of Christmas. This is no different from last year or 2013, or even 2009. You wont find a nativity scene or anything to do with Christ on those cups either. Cups of the past featured ornaments, carolers, and snowmen…all of which can be associated with a secular view of Christmas. If you look at the picture to the left, you will see a cup from the 2013 holiday season. 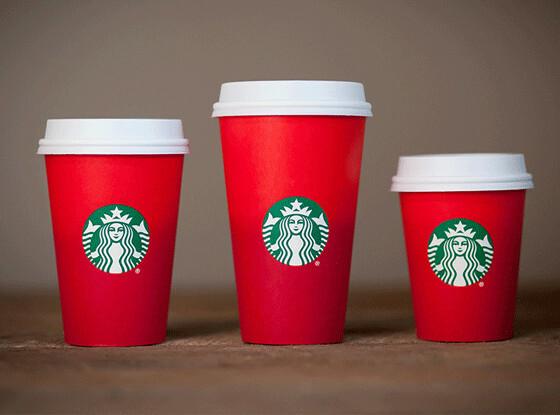 You can see how Starbucks could evolve into a plain red cup with a more sleek look, right? Eh, maybe it’s just me. This controversy over the cup was started by American evangelist and social media personality Joshua Feuerstein. He posted the video about Starbucks removing Christmas from their cups because they hate Jesus. He also points out that Starbucks employees are not allowed to say “Merry Christmas” to customers. A Starbucks cup has never been about Christ though. Starbucks isn’t starting a war with Christians or on Christmas, at least not on the Biblical version of Christmas. We should be more mad that they are taking away from the worldly view of Christmas. No snowmen? No reindeer? No Santa Clause?? Why??? What about people who don’t celebrate Christmas, should they have to drink out of a cup that says “Merry Christmas”? I understand that other people practice different religions. I respect people who have their own beliefs and faith, even if it isn’t the same as mine. This cup has nothing to do with religion or Christianity…its simply just a cup. Instead of being mad about this, Christians should be having conversations with non-believers over a (red)cup of Starbucks coffee. After all, the place IS pretty inviting, and the coffee IS delicious. If you still don’t agree with what they are selling though, then you have the right to not buy the product. But you can find me over at the corner table in Starbucks enjoying my White Chocolate Mocha in a little red cup. Congress recently voted to appeal the policy of “don’t ask, don’t tell”, which allows homosexuals to serve in the military as long as they do not discuss their sexual orientation. Many homosexuals have been affected by this military policy. This policy has resulted in the discharge of around 16,000 patriotic soldiers since it policy was put in to effect 17 years ago. Approximately 4,000 other service members have voluntary left the service because of this policy. Military services are experiencing shortfalls, and allowing gays to serve openly could be expected to increase recruitment. This policy seems to be based off nothing but fear and has nothing to do with performance. In a 1993 study by the Government Accountability Office, it was shown that allowing gays in the military was not a problem and that there were no issues in the functioning of military units. This policy was not based on sound research, we know of no research to prove that an openly gay service hurts the military. This is not a matter of whether or not you support gay lifestyles or gay marriages. These are the people that fight for our freedoms. We should find it disrespectful to tell the men and women who are fighting to protect this nation that they cannot be open about things like their sexual orientation.